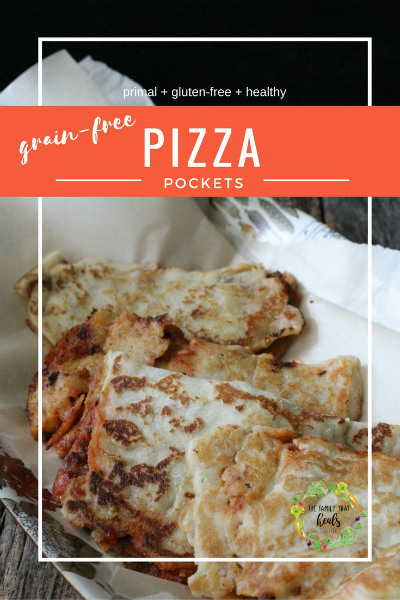 Since our self-proclaimed summer of fun food is over and we’re back to eating grain-free and paleoish, I’ve been inspired to create some fun and new recipes, like these grain-free pizza pockets. I made these last week and my kids jumped for joy. Literally. First, you’ll want to snag my recipe for easy-peasy paleo tortillas, then meet me for the rest of the recipe below. My kids have sort of gone kicking and screaming back into a grain-free lifestyle. It stinks to feel like I’m depriving them of junk food (which, I know, is a silly way to feel, and I typically feel offended by someone telling me I’m depriving my kids by feeding them a healthy diet). Getting creative and making them foods that feel like junk food, but have no harmful ingredients is a win-win. Recipes like these pizza pockets are helping them transition back to healthier eating. 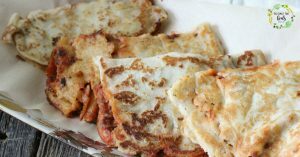 While my kids have never had typical pizza pockets, they were thrilled with this healthy, homemade version. These are great for a quick meal at home, or packing for a school lunch. I hope your kiddos enjoy them as much as mine did! 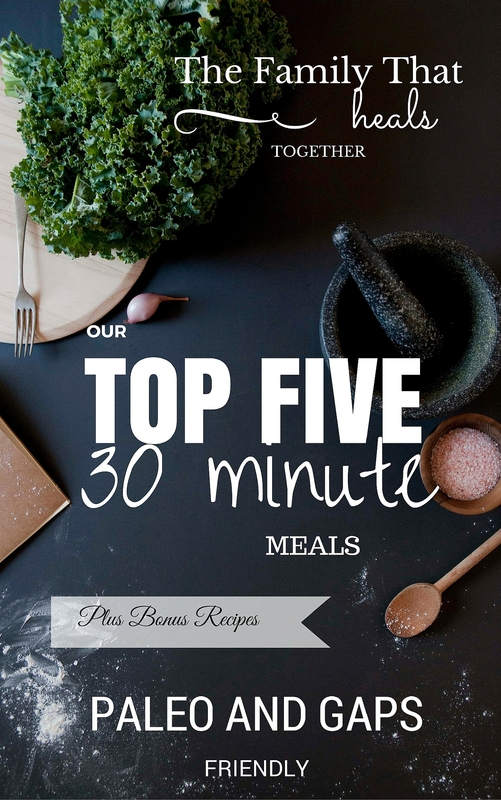 do your best for replacing foods they love with healthier versions, and let them help plan and cook when you can. Having a healthier family is worth eating a better diet, so hang in there and keep trying new foods with your kids. Start with these pizza pockets! Would your kids love these grain-free pizza pockets? Share the recipe using one of our links for your grain-free friends whose kids need some fun food in their lives! Heat a skillet over medium heat and melt a little palm shortening in it. Combine the tomato puree, salt, garlic powder, and oregano and mix well. 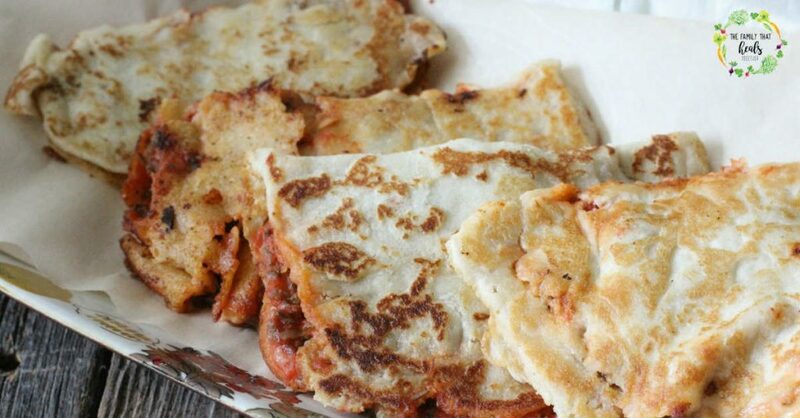 Place your first tortilla on the skillet and put a heaping tablespoon of the tomato sauce on one side. Add either pepperoni or sausage on top of the sauce. Add a tablespoon of mozzarella on top of the meat. Once the cheese has begun melting, fold the tortilla over and press the sides together, letting the melted cheese hold it together. Cook for 2-4 minutes until hot and melted before removing and allowing to cool. Repeat with remaining 5 tortillas. GREAT RECIPE, I MIGHT TRY TO MAKE IT AIP AND USE VEGAN CHEESE & AIP CHEESE.